If you have enough content for two DVD discs plus lots of printed inserts to include in your next media project, we have just the package for you. 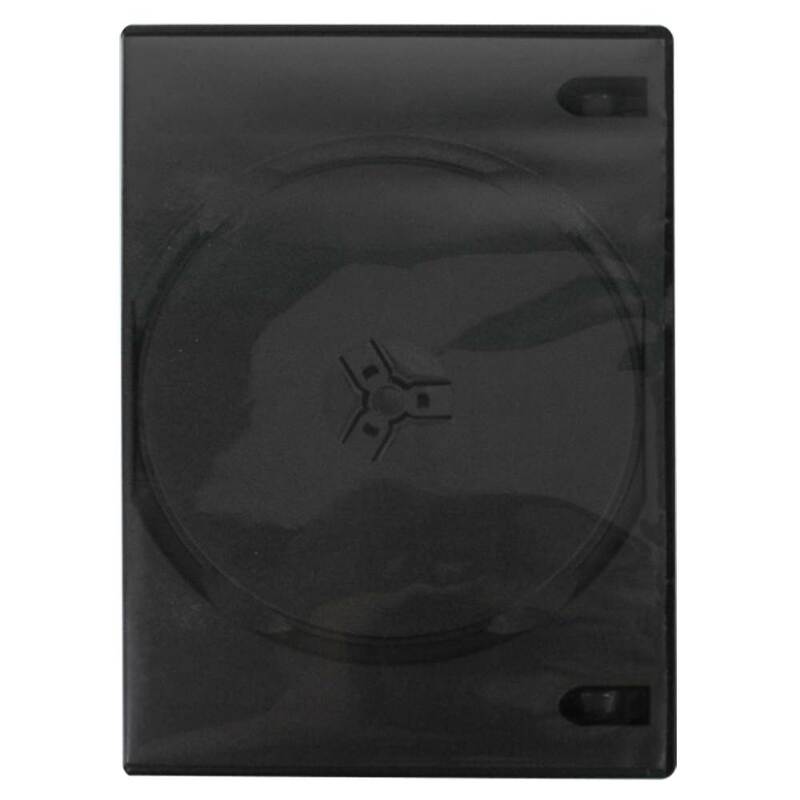 Keep your discs safe and secure with this double DVD case in black. It features double disc capacity and binder clips to hold your inserts with rails to keep them separate from the DVDs. All this for a low, affordable price. Get the most value for your buck with this great packaging option! These standard sized USDM double DVD cases feature quick release center hubs to secure each disc, yet maintain functionality. Each case has an outer sleeve to hold custom printed entrapments and inner clips to hold custom printed inserts. Coming in charcoal black, these cases also feature a unique rail system in the case to keep artwork separate from the discs.